“A Mountain Bike Course” around Seiwadai-Sports Center will be opened on 3rd of August!! 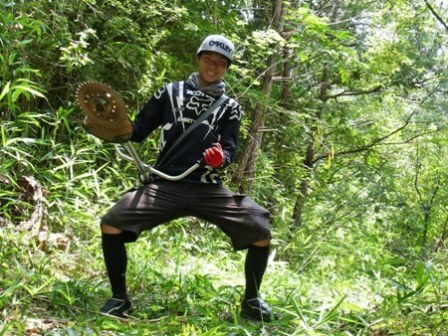 On 3rd of August, we are opening a mountain bike course around seiwadai-sports center. 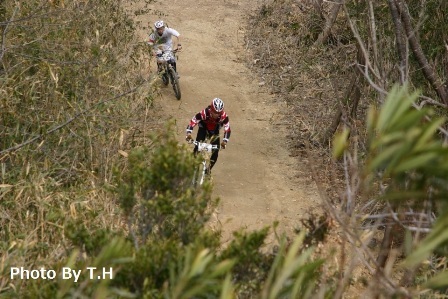 This course is about 1.5km long which is a part of full scale course, used for “2 hours endurance race of Taki MTB Cup” which was held on 10th of March this year. Why don’t you bring your friends and family with you and have fun in big nature in Taki!! Here below is the usage detail. ※we are sorry here is not available when it rains or the road condition isn’t good enough. So please ask “Athletic Association Office (Tel:0598-38-1131) if you are not sure. ※We use very easy strip roads for this course. We set easy nets on some corners for your safety but please use here on your own responsibility. And we recommend you to join an accident insurance. ※Please check the details of the course, location, application form and oath on the site of Taki below. It has been really hot every day, isn’t it? Here Taki is also very hot but we are healed by this peaceful+beautiful nature. 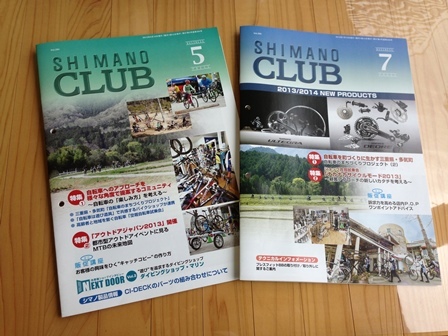 Well today, we are announcing that our activities are reported in paper press “SHIMANO CLUB”. It was a serial in two installments, and this makes us quite motivated for every activities. 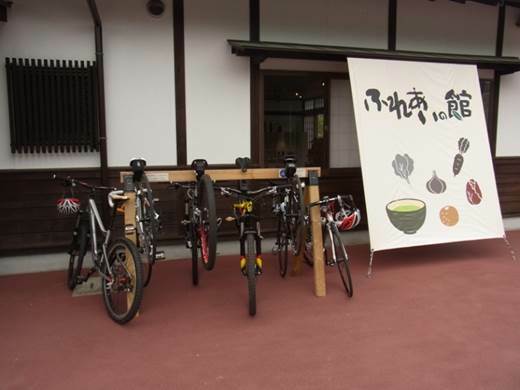 We will keep transmitting many information about our activities in Taki to expand this bicycle project, so please continue to look forward to our reports!! We introduced about “Temporary Bike Rack” on this site the other day. So today I’m introducing you what it is! When you go cycling, you may find that” Stop Points” are really important for you. When you use “Sports Bike” such as road bike, cross bike, and MTB, which doesn’t have its kick stand, and you sometimes may feel like you want somewhere to put your bicycle at. Therefore, we made “Bike Rack” for Cyclists! One of the biggest features of this Rack is that this is made from wood. So, this won’t hurt your lovely bike. And also, this is thinned + waste wood from our area, so it’s really eco to use this material. 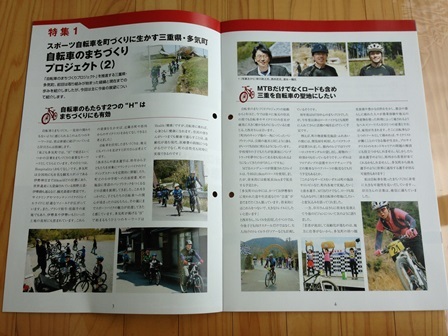 We hope that we can put them in several places and make Taki as a best town for cycling + cyclists!! We will let you know about this when we get ready. This time, we are going to do mowing and removing fallen trees mainly with town people for the trail which we’ve been using. 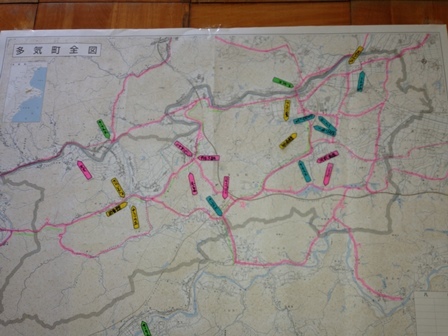 After our work, we are planning “Special Trail Run”!! Please join us if you are interested in. Some people from this town(Taki) are offering tea for us and therefore please entry from the format at the lower left on the site below. If we can’t run the trail we maintain, we are going to use “Pump Track” instead. And even the pump track is not good condition, we are sorry but we might spent time chatting about all sorts of things. We are holding a tour for cheering Kaz. Today, we are announcing about a race“2013 JCF MTB JAPAN SERIES at Fujimi Panorama Resort” which Kaz is competing on 15th of September. We want you to see Kaz’s awesome riding on a proper competition! And this will be one day trip. We have only 50 seats limited and here below is the plan of this tour. All participants will get a original T-shirt of this tour. You can get it only on this tour. Additional information will be provide on this site frequently from me!! We are researching some routes which are fun to go on & comfortable to ride. And also discussing about the place we will ask for placing cycle stands, for both cyclists and town people. Wouldn’t it be nice if there are some stop-points convenient to use? We will try to make Taki as a town you would want to ride around! 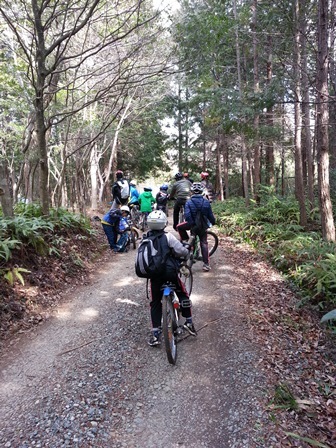 “A Mountain Bike Course” around Seiwadai-Sports Center will be opened soon!! 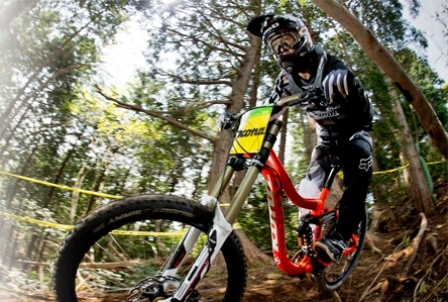 On 1st of August, we are opening a mountain bike course around seiwadai-sports center. This course is about 1.8km long in total and produced by professional athletes as a full scale course, used for “2 hours endurance race of Taki MTB Cup” which was held on 10th of March this year. You can use this course on every (Wed, Sat, Sun, Public Holiday) and for a while we will provide here for free. But we are sorry here is not available when it rains or the road condition isn’t good enough. We will inform you where you can find the usage detail as soon as it’s ready and introducing on this site too. We are looking forward to seeing you enjoying this course here in Taki.